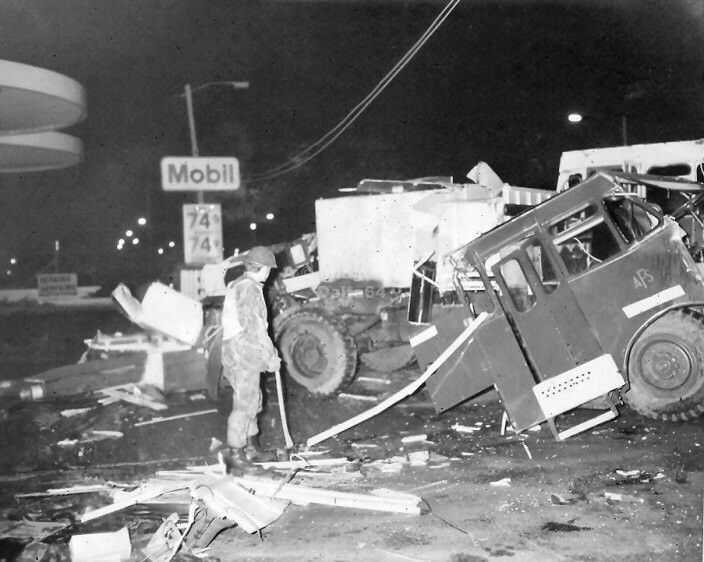 "TWO DEAD. 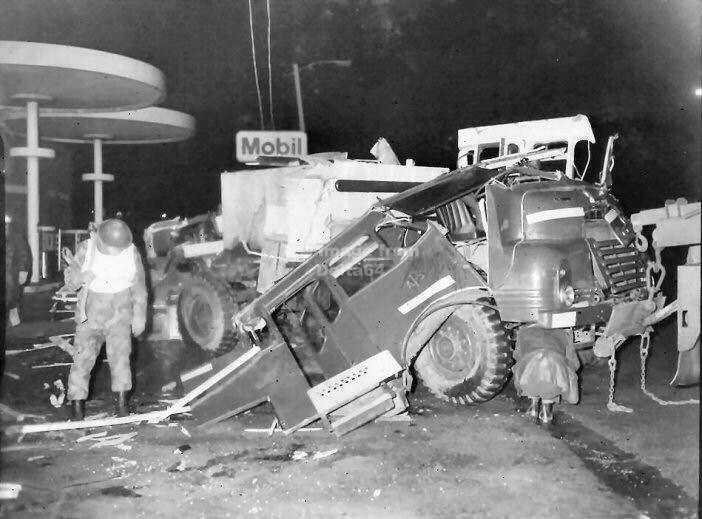 PICTURES TAKEN EARLY TODAY AFTER AN ARMY GREEN GODDESS FIRE ENGINE SKIDDED ON OLDHAM ROAD, NEWTON HEATH, MANCHESTER AND OVERTURNED IN THE FORECOURT OF A PETROL FILLING STATION. 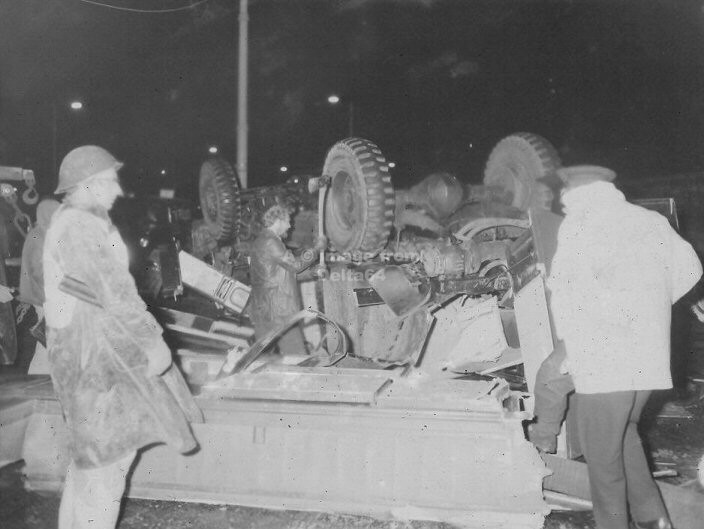 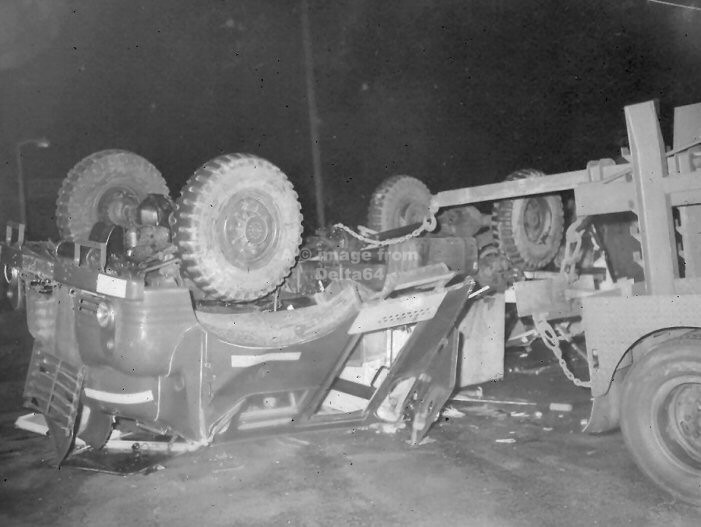 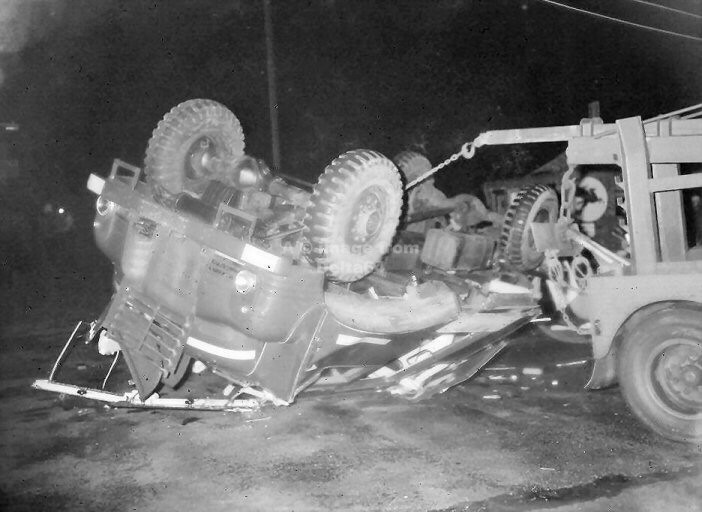 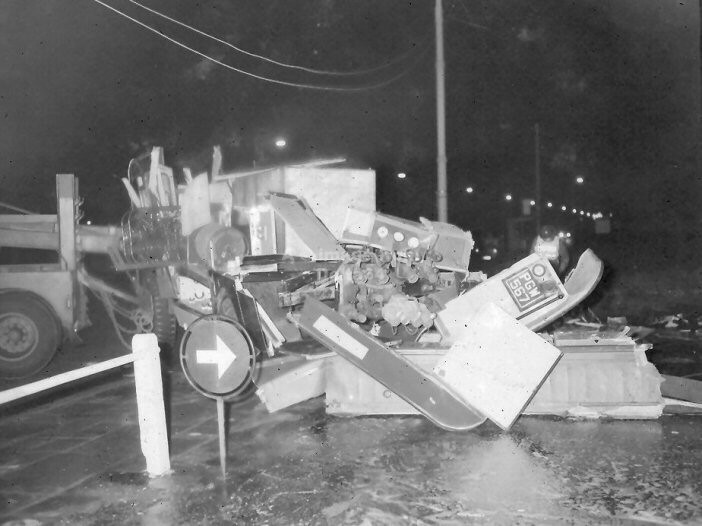 SHOTS TAKEN WHILE VEHICLE STILL ON ITS ROOF; RECOVERY VEHICLE COMMENCES TO RIGHT IT; THE WRECKED FIRE ENGINE BEFORE BEING TOWED AWAY"